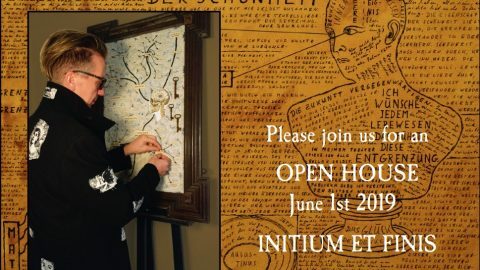 11th anniversary of the INITIUM ET FINIS You are invited to join our OPEN HOUSE at Saturday, 1st of June, 2019 13.00 -17.00 65558 Lohrheim/Germany, Bartelstr. 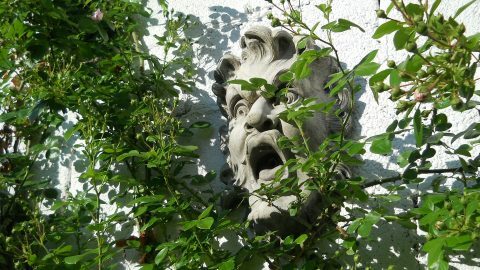 2 Guided Tours through the house by the artist. The “Lost Garden” with its overwelming rose flowers is opened too. Hope to see you there. 10th anniversary of the INITIUM ET FINIS You are invited to join our OPEN HOUSE at Sunday, 3rd of June, 2018 10.30 -16.00 65558 Lohrheim/Germany, Bartelstr. 2 Guided Tours through the house by the artist. 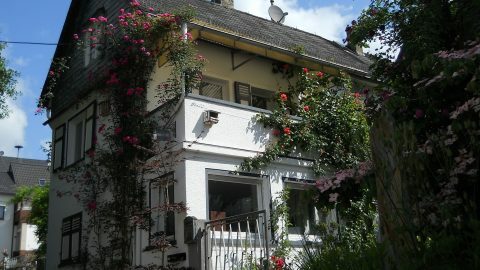 The “Lost Garden” with its overwelming rose flowers is opened too. Hope to see you there. Five years after the first open day in 2011, the Museum INITIUM ET FINIS has officially opened. Throughout the year, by appointment on weekends, visitors can now visit the house with its wonderful collection of artefacts and art works.